PNG have won both their two matches so far; with a win apiece for Samoa and Fiji. With two places up for grabs to qualify for next week’s regional final, the first of two 2018 East-Asia Pacific regional qualifiers got underway and after four matches in the 12-game round-robin tournament in which all teams play each other twice, Papua New Guinea have been the standout performers so far. PNG won both of their fixtures on day one, making a big statement in the first match against Samoa, posting 209/8 and then comfortably outplaying the hosts, Fiji, posting 188/8 to win comfortably by 75 runs. 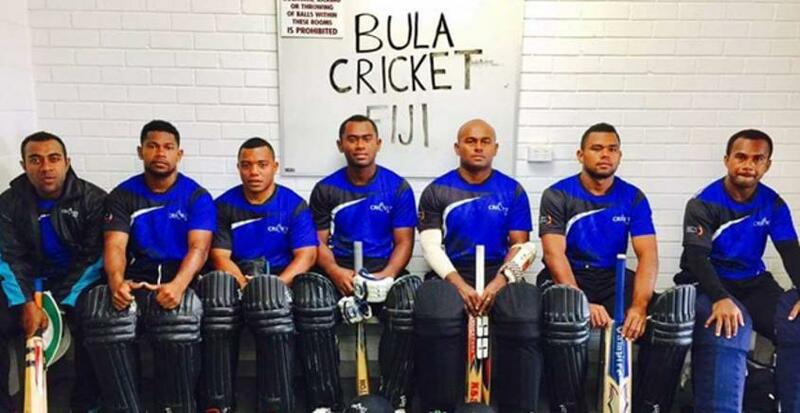 Fiji, meanwhile, will be disappointed to go down so emphatically to the pre-tournament favourites after opening the tournament with a dramatic three-wicket victory over the win-less Vanuatu. For Vanuatu, that opening defeat was compounded by another reversal against Samoa. Despite restricting the Samoans to 144/6 from their 20 overs, they were unable to see out the run chase, falling an agonising 17 runs shy. Samoan heroes with the ball were Fa'afetaialealofa Vaaetasi and Lester Evile, with the two sharing eight wickets between them. PNG’s batsmen have been dominant so far. Tony Ura’s outstanding 55-ball 120 in the opening match set the tone for a big victory, while his opening partner Assad Vala got into the act in the second, carving 70 to underscore their second win of the competition so far. With eight fixtures still to go and two places available, the race is on to see if PNG can be reined in, and if not, who will join them at the summit. The top two teams at the end of the tournament will proceed to the ICC World T20 EAP Final to be played in 2019. They will be joined by one team from the second qualifier in the EAP region, taking place between 1 and 7 December in the Philippines. The new qualification pathway for the ICC World T20 2020 not only reduces the number of steps towards a global event to four, but also provides more regular competitive opportunities for more Members. The enhanced qualification pathway aims to foster the continued improvement of Associate Member cricket and better prepare those teams that ultimately qualify for the global showpiece event in Australia. Six teams from the ICC World T20 2016 which are not in the Top 10 MRF Tyres ICC T20I Team Rankings as at 31/12/2008 will automatically qualify for the ICC World T20 Qualifier, alongside the eight qualifiers from the regional finals. The top 10 teams from the MRF Tyres ICC T20I Team Rankings as at 31/12/2018 qualify for the men’s ICC World T20 2020, alongside the six qualifiers from the ICC World T20 Qualifier.